I'm fighting with Expiration date under Form builder > Preferences. Impossible to block form users at a certain date and time. I even tried put one year back, no way ! Does the parameter fully work under English language ? 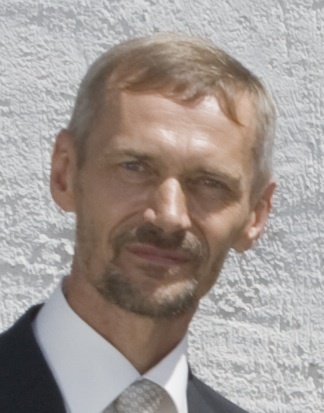 Is the format 2014-03-21 15:25 the correct one ? Does the plateform take the local time AND summer/winter time into consideration ? How to disable the form at a certain date and time before the user fills all the fields ? I tested this feature with different forms and had the same difficulty. I believe the date format is correct as it is in accordance with the instructions of the feature. I'm not sure if I understood you right, but with the expiration date feature working properly, the form gets disabled, so the user cannot access the form. I apologize if I misunderstood you, and I kindly ask you to clarify this matter so we can be of assistance. You will be notified through this thread once they have an update. I under stand that my Forms considers my Timezone, but when you say "your profile", do you mean the profile of my OS ? 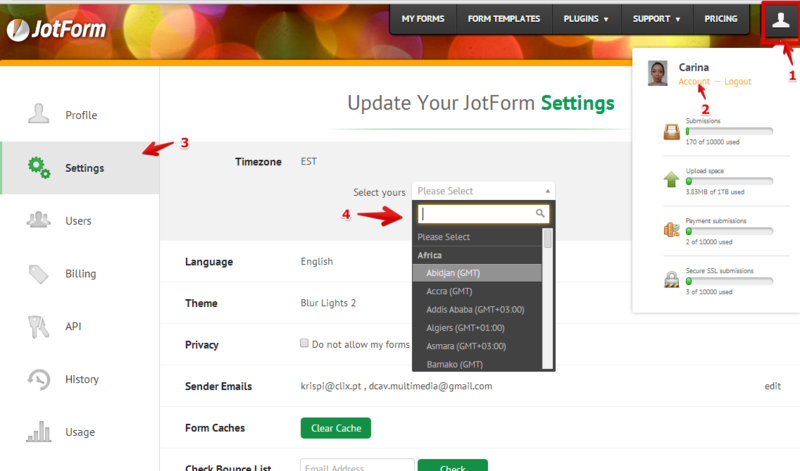 Remember also that I'm a user, not JotForm Admin. Concerning the limitation mechanism, once I tried to limit the number of submissions and it seamed to me that the warning message poped up only once you submit the form, which is unconfortable. If this occures with date expiration, it would also be unconfortable user experience ! Meanwhile, I wait for your feedback concerning the proper operation of expiration date. And it's not related to the OS timezone. For instance let's say you are in a GMT timezone, but your form is directed to EST (-5h) timezone. You can change your account's timezone so that your form gets disabled according to EST timezone. You are right, if the form has a unique submission limit, only after the user hits the submit button he gets a warning, which can truly be uncomfortable (we can forward a suggestion to our developers regarding this issue, but it is necessary for it to be done in a new thread). But if we are talking about the expiration date, it is different, as the form gets disabled after we reach the limit date. Meanwhile our developers are still working to solve the expiration date issue, they will get back to you once they have news. I don't see any problems with the expiration date feature after the test I made. When you had set your form to expire, how long was the time difference between your set expiration date and the date you set it up? 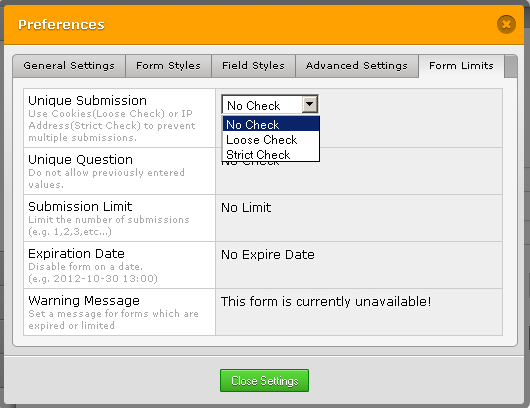 Ideally you should set the expiration date of the form at least 30 minutes ahead. Also, if you would set the expiration date a year back then it won't trigger to expire since a form will only expire if you set the expiration to a future date. The fact that it doesn'i trigger (or block access) when setting date back, was then a trap for me. I am working with you competitor WUFOO, for example. They have limitation parameters like number of submissions, IP, start, stop date/time, which operate directly on the activity. Thank you for this information, Jan.
We have the Unique Submissions look-up for IP or browser based which will prevent a user to submit twice. 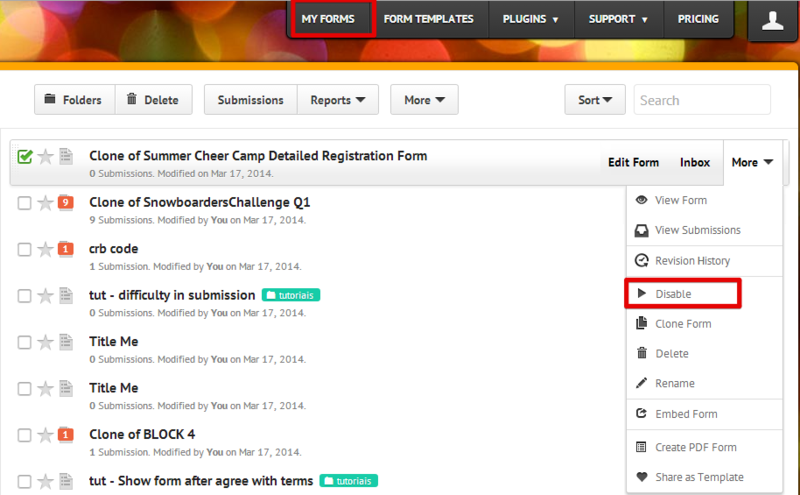 The Submission Limit feature takes care of disabling the form as soon as it reaches a certain number of submissions. So the concern that might be raised here is the form scheduling. And I agree with you on this when setting the date backwards. We can work on improvements on this one but I cannot guarantee that this can be implemented anytime soon since the developers are pretty busy with other tasks in the pipeline. But rest assured, as soon as we have made some changes relating to this matter, we'll inform you right away. Thanks again for your input and we'll surely put these things in mind. You say: Ideally you should set the expiration date of the form at least 30 minutes ahead. Also, if you would set the expiration date a year back then it won't trigger to expire since a form will only expire if you set the expiration to a future date.